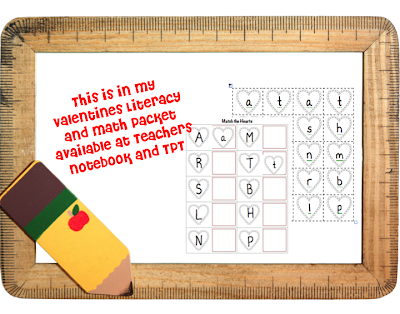 Just a little something from my new Valentine's Literacy and Math Packet available from Teacher's Notebook or TpT. You can get the download here. Thanks for the freebie. I have new student who needs this. Tricia, glad you can use it. How wonderful to have only 1 student, I have about 5. but, they are getting there.